Traditionalism is never out of style and what better way to play an evil LARP character than to wear a skull mask made from silver or iron? While it may not be made from metal, the Silver Skull Trophy Mask looks traditional! 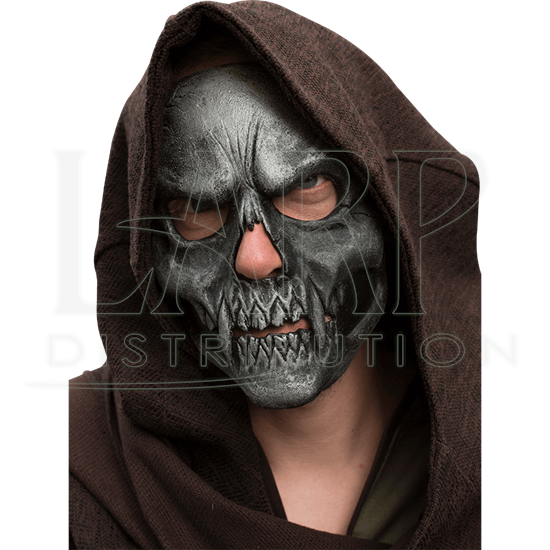 Crafted from 100 percent high-quality latex, this skeletal facemask appears to be wrought from iron or silver and depicts a cracked skull with large fangs and furrowed brows. A black strap secures the mask around your head, ensuring that it will not slip off during combat. 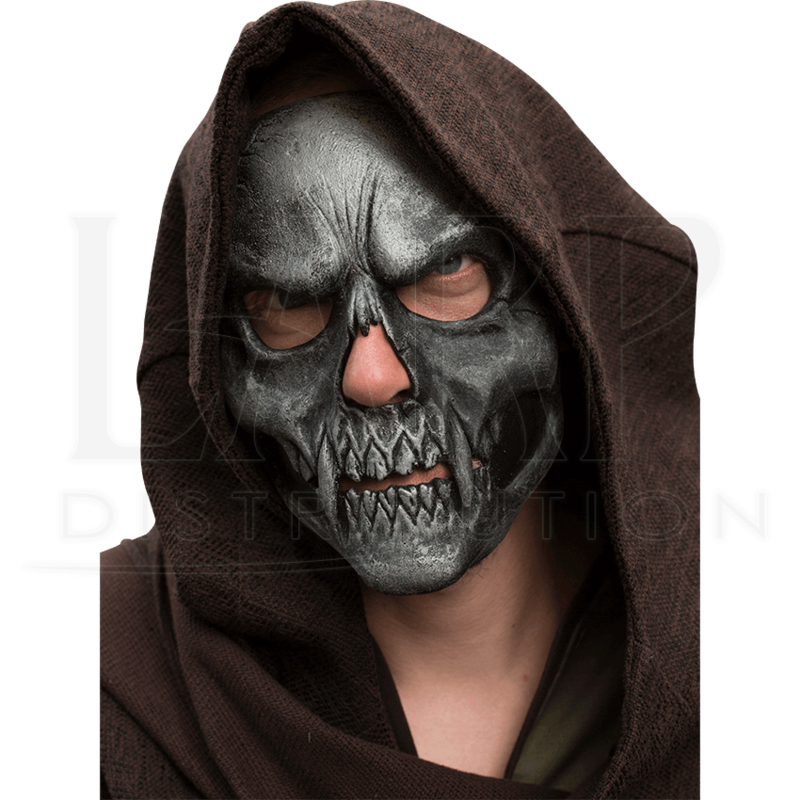 Pair it with a hood or dark armour for that classically evil look you have been searching for and begin your plans to dominate the world!